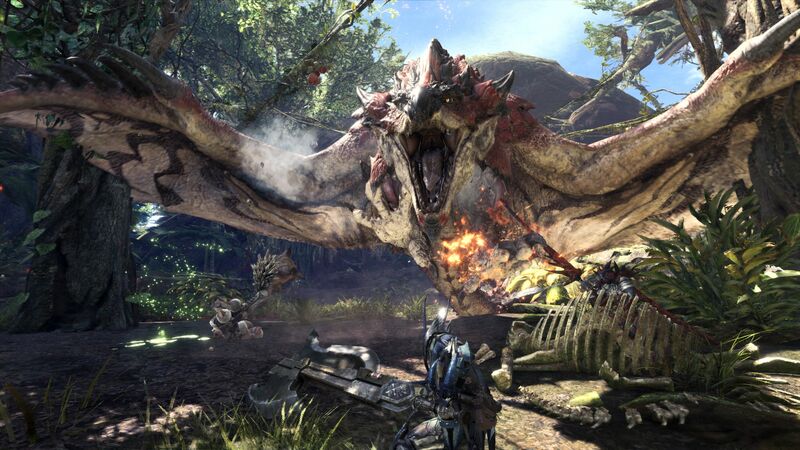 Monster Hunter: World has finally arrived on PlayStation 4 and Xbox One, and gamers everywhere are chomping at the bit to hunt down and kill massive beasts with their friends. Monster Hunter truly shines in multiplayer co-op, where you and up to three friends can team up to take down the giant monsters that inhabit the New World. Joining up with friends in Monster Hunter: World is not as easy as you might think, however. There are a few obstacles and rules in place that you first must reach in order to join up in a squad with your pals. Keep these things in mind before trying to play with a group, and happy hunting! There are two separate kinds of instances in Monster Hunter: World. One is a session, and then distinct missions and quests within them. First you will need to have your friends join your session, like a server, and then you can invite them to partake in a quest within it. Once you connect to an online session, you will be able to invite friends. You can do so by pressing the Start or Options button on your controller and move to the Communications tab, which looks like a little speech bubble. In this tab you will see an option to "Invite Friend." Selecting this will open up your friends list to invite who you would like. Many quests and missions contain cutscenes that introduce new Monsters. In order to play them with a group, everyone will have to have seen the cutscene already. This means that the only way to have friends join you on your first run of the mission is to either watch the scene and send up a flare, or back out and re-enter the mission with your friends after you've invited them. Your friends will only be able to join you if they've already reached the specific mission you're trying to play. This simply means that if you're a Rank 5 Hunter trying to do a Rank 5 quest and your friend is only Rank 3, they can't join you. It does work in the opposite fashion, however, as higher ranks can help lower ranks with their missions.